Within the scope of cross-cultural literature and women’s studies, insights into the lives and contributions of African women have been, at best limited and more often overlooked. This work, the second of a four-volume series, represents a monumental effort to address the vast array of creative, cultural, historical, and socio-political expressions of women from West Africa and the Sahel. Collectively, the volumes present the stories, rituals, songs, recitations, speeches, and lamentations of women throughout the African continent. This extraordinary resource, assembled over a ten-year period, represents the histories and cultures of more than twelve countries and twenty languages in 200 texts selected by African- and American-based scholars. Sutherland-Addy is senior research fellow at the Institute of African Studies at the University of Ghana, and Diaw is professor of philosophy at the Université Cheikh Anta Diop in Senegal. The international perspective of this work is exemplified not only by the scholars who contributed to and edited this volume, but also by the multilingual texts, and the fact that the work is being published simultaneously in French and English. The diverse writings presented here will prove to be invaluable not only to students and scholars, but to readers with a curiosity about the historical and cultural legacy of African women. The contributions to the volume range from nineteenth-century and early twentieth-century writings outlining opinions on social and political issues to the social significance of praise and work songs to the effects that the transatlantic slave trade had on the status and oppression of African women. The book is replete with little known facts, stories, and perspectives about African women and culture. For example, Sarah Forbes Bonetta, born of royal African birth in the nineteenth century, was a protégée of Britain’s Queen Victoria. In addition, powerful and influential “Queenmothers” led resistance movements against colonial rule along the Gold Coast of Africa. 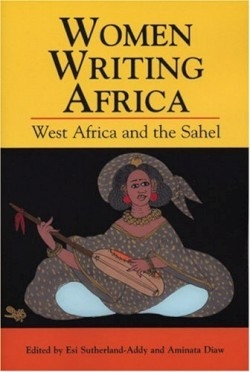 The editors of this book sought to provide a more complete and robust portrait of Africa and African women. They have succeeded in this task by recovering the lost voices of African women and, as a consequence, have restored their rich cultural and historic legacies.